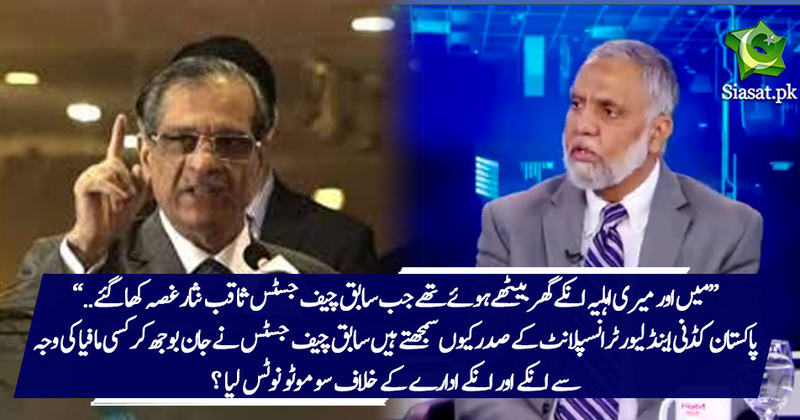 How and why Ex CJP Saqib Nisar took suo-moto action against PKLI President Dr. Saeed ?? Those are some serious allegations!!!! do we have a case against former CJ? how would Khan go about it? This small clip not showing what was the reason for Suo-Moto? Please share complete program. What was his salary here? Are you sure? So that comes to about $14,000/month for him alone? That's so cheap man!!!! That's definitely LOWER than 3 times they would have been making in the US. I just checked his qualification. It is FACS only. My guess is that his salary alone would be $35,000 - $40,000/month in the US. I don't know about his wife's qualifications so can't comment. If he was a Fellow ACGME, his salary in the US would have been $100,000+ /month. But I don't know many Fellow Pakistani US doctors who ever came back to Pakistan. Unfortunately, they neither get the right salaries nor the right respect here! Later Mujeeb Shamim Kabab reported he paid hotel bill himself (So on this news Shami Kabab got relieved for Petrol pump and his son house grabbing of widow. Abhi tu story Aana Shrough Huin hain Parasai key Dawedar ki . My brother was been advised for this project, as a leading cardiologist/ regenerative scientist and Executive director of the leading institute in Canada and visiting Harward professor, $11000 is not sufficient for him but he half-heartedly agreed due office politics, jealousy and working hurdles environment, thanks to ex-chief sahab's decision he said no to the project.